Comment on the stabbing incident at Canadian army center in Toronto, 14 03 2016. To start with , all sorts of violence is condemned . There is no excuse nor legitimacy for any type of violence what so ever. – The moment the attacker has been reported uttering the word “Allah” , right away, and without further delay, media starts dealing with the subject as “terror link”. In other word, since the attacker turned to be of Muslim faith, the word terrorism has to be up promptly. -It has been reported that that the attacker has said ” Allah Has asked him to do so….” . Basically, this is an issue that needs very careful attention. In Islam the tradition of Allah speaking to individuals doesn’t exist at all. It neither in Islam’s doctrine nor in it’s culture. Even the Prophet Mohammad, peace be upon him, him self had never been “spoken” by Allah swt. In this situation, the mental situation of the attacker should be taken into consideration. -All sorts of violence looks for kind of legitimacy by the perpetrators. This even apply on those may have issues “mentally” speaking. 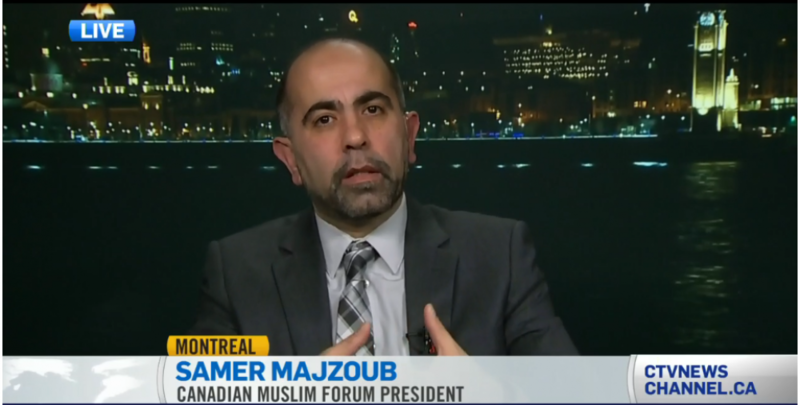 This entry was posted in Tweet and tagged (FMC-CMF), Canada Muslims, Canadian army center, Canadian Muslim Forum, Canadian Muslims, Forum Musulman Canadien, hate speech, Islamphobia, Quebec Muslims, Radicalims, Samer Majzoub, violent radicalism by samermajzoub. Bookmark the permalink.